identity, subjectivity, and gender to provide the first comprehensive account of their psychoanalytically inspired approach. For each topic, the theoretical perspective is supported by individual case studies, which are designed to facilitate the understanding of theory and to demonstrate its application to a variety of criminological topics. This important and lucid book is written primarily for advanced undergraduate and graduate students, as well as teachers of criminology. 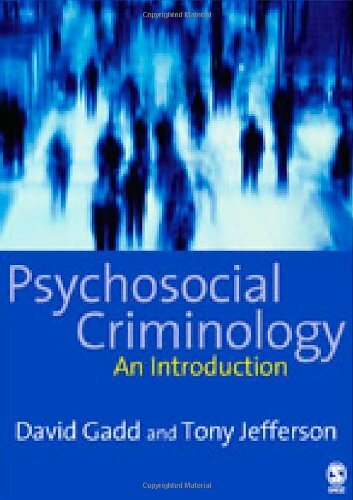 It is particularly useful for students undertaking a joint degree in criminology and psychology. It also appeals to critical psychologists, psychoanalysts, students of biographical methods, and those pursuing social work training.